journey to twisty town. We’ll show you the basic techniques and get you started on a satisfying, easy to conquer, cable sampler project to show off your new skills. 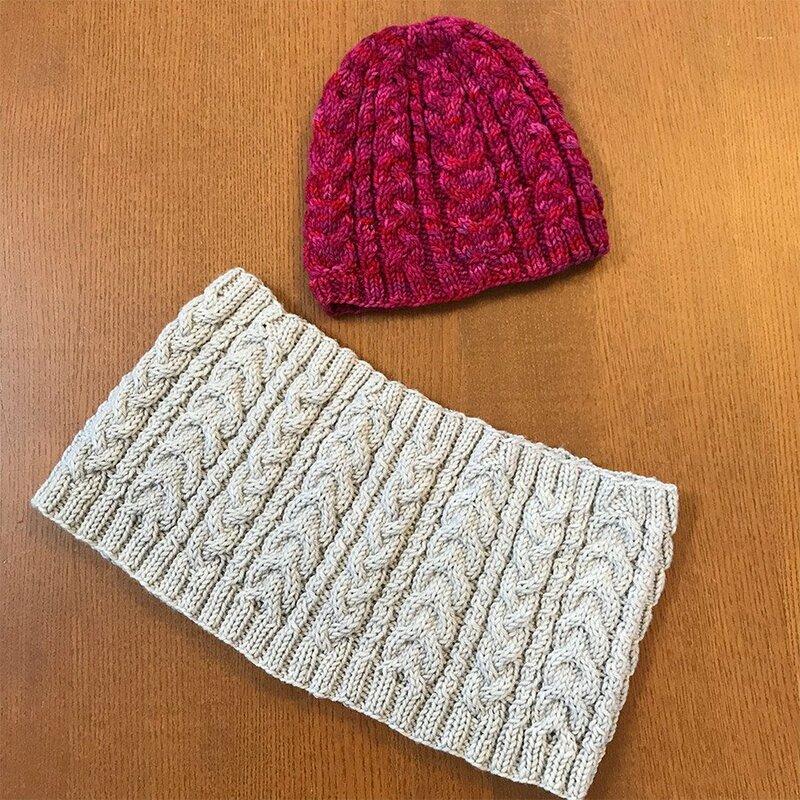 Both hat and cowl versions of the pattern are provided so you can choose what project suits you best. Trust us, it’s great fun to get twisted! One three-hour class session on Tuesday, January 22nd from 5:30-7:30pm. even be able to make both projects. Cast-on or Tillybuddy’s Very Stretchy Cast-on.